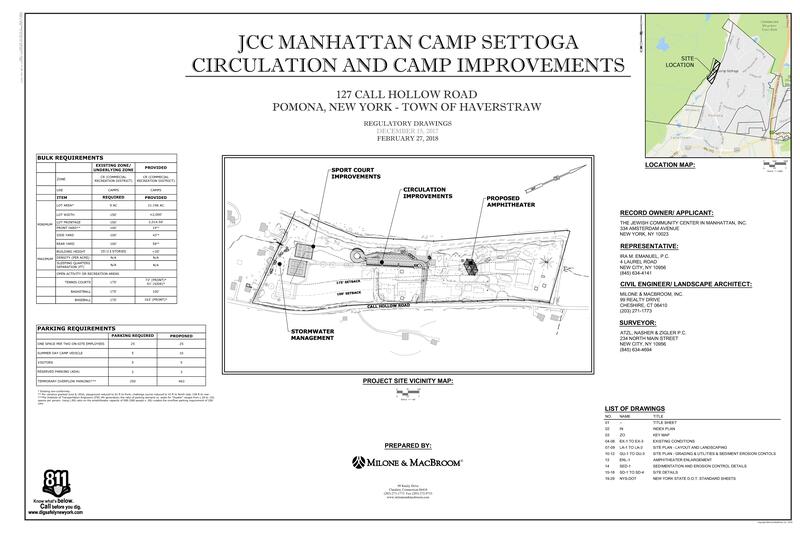 JCC in Manhattan - Camp Settoga - Ira M. Emanuel, P.C. A multi-year, multi-phased project to convert the former Platzl Brauhaus recreation and catering facility to a day camp. 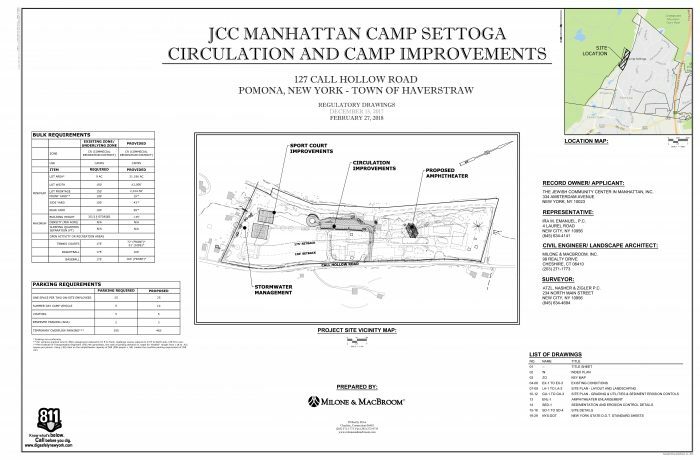 Because day camps do not have specific zoning regulations in the Town of Haverstraw (despite the fact that a number of day camps operate in the Town), almost every new feature requires amended site plan approval and bulk variances. To facilitate the land use approval processes, we developed a baseline site plan consisting of existing facilities from Platzl Brauhaus, and agreed to year-by-year reviews.